The Death Claws Long Sleeve T-Shirt from Spiral is not your average rainbow, sparkly unicorn. This alternative long sleeved top has a unicorn surrounded by bones and flowers on the front and back with a castle, moon and cemetery backdrop. 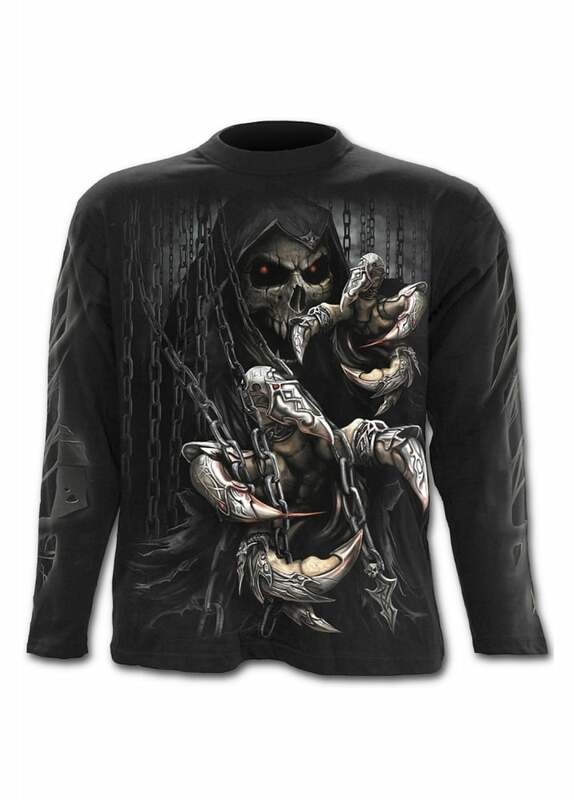 The sleeves feature a ghostly skull print.